a nice area to re-charge and work at KCI. Thanks Southwest! Kingston Technology Company, Inc., the independent world leader in memory products, today announced it is expanding its line of USB Flash drives with the introduction of the DataTraveler® HyperX® (DT HyperX) and DataTraveler 110 (DT110) models. Designed for ultra-fast read/write speeds and lower price points, respectively, the DT HyperX and DT110 drives are both available in capacities up to 8GB. The DT HyperX has data transfer rates of 30MB/sec. read and 20MB/sec. write, offering consumers a powerful, portable Flash storage solution. 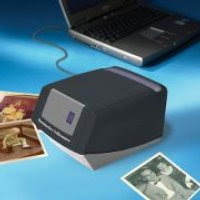 Designed to run on any Windows platform but specifically enhanced for Windows® ReadyBoost™ on Vista™ based systems, users can expect to quickly and easily transfer photos, videos, music and data to their desktop, notebook or a fellow enthusiast’s system. Sleek, practical and attractively priced, the DT110 serves the needs of budget-conscious users as well as consumers looking for significant storage capacity in a lightweight, compact design. The DT110 features a capless, retractable USB connector for ease-of-use and safe housing. Available in different colors according to capacity: purple (1GB), blue (2GB), red (4GB) and green (8GB), the DT110 is a great, high-quality USB drive. Both drives are backed by a five-year warranty and free 24/7 technical support. Spot-On Screwdriver... I wonder if they make implant drivers? I came across this rather interesting tool which would be really handy in a lot of repairs or assemblies. The Spot-On screwdriver has an LED built into it that's lights up wherever it is pointing. That got me to thinking, wouldn't this be a great thing for implant companies to build into their torque wrenches? 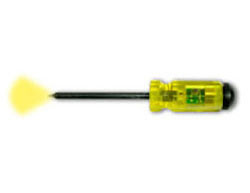 SPOT-ON™ #1 - 1/4” Flat Tip Screwdriver with LED light is the solution for the professional or hobbyist needing more then the available light to get the job done. Especially when you dont have an extra hand! Push the button and the light shines brightly on this hardtofindtools.com exclusive work tool! A long lasting LED spotlight is built into the bit tip permitting you to locate the screw head in dark places. This premium, patent-pending screwdriver also features a contoured sure grip handle for comfort and maximum torque. Hardened and tempered vanadium blade is 4” inches in length. A must tool for automotive, electronic, appliance repair or work with small engines. CHICAGO, January 22, 2008 – The American Dental Association (ADA) announced today the launch of its new “Smile Healthy,” certification program aimed at helping consumers identify which foods and beverages are good for oral health. The ADA’s Smile Healthy logo, signifying a “smart choice for oral health,” will first appear on one-gallon containers of fluoridated bottled water. The ADA anticipates future Smile Healthy product categories could include sugar-free foods, beverages and dairy products. The ADA has long supported the addition of fluoride in optimal amounts to water to help prevent tooth decay and hopes consumers will look for the Smile Healthy logo when purchasing bottled water. The first company to be granted a license to use the Smile Healthy logo on one of its products is Water Source One, a large national bottled water manufacturer with 15 production facilities across the United States. Bottled water with the Smile Healthy logo is expected to start appearing on store shelves in spring 2008 under the “Kid Pure” brand in Florida, Illinois, Indiana and Ohio with national distribution to follow. ·All product categories to be included in Smile Healthy must have specific identifiable criteria to evaluate a product’s oral health benefit. ·No exclusive company product arrangements will be permitted. · The product category is open to all products that meet the product category criteria. · The ADA will receive no revenues from these arrangements; instead, 1 percent of net sales generated from the sale of products with the Smile Healthy logo will be directed to the ADA Foundation to be used in charitable access-to-care, education, research and public awareness initiatives. For more information on Smile Healthy, please visit www.ada.org. Paul lecturing on CAD/CAM to the members of NADL. My buddy and Dental Technology Solutions partner Paul Feuerstein is educating the NADL group on the latest info on CAD/CAM and other high tech devices. Good morning from Las Vegas. In a few minutes Marty, Paul, and I will be speaking to the National Association of Dental Laboratories. I've always been fascinated with Disney. Especially the way they employ technology to increase the guest experience. I stumbled across another great Disney idea a few days ago and I'd like to share it with you. It seems that Disney is working on a wireless information system called "Disney Magic Connection" that will interface with the wireless capabilities of the Nintendo DS. In order to provide for a better time in the park it will provide you with your location on an interactive map, reminders of show times, reminders of parade times, locations of the nearest costumed characters, what rides have the shortest lines/wait times, games to play while you are waiting, what rides are accepting Fast Pass, and you can even make reservations at a Disney restaurant all from the Nintendo DS. No word on full deployment yet, but you can bet they are working to make this happen soon. Do You Know About DPRWorld? Registration is now open for DPRWorld, May 15-17 at Mandalay Bay in Las Vegas. DPRWorld is the first products based, innovation-driven event produced by Dental Products Report magazine, bringing the pages of DPR alive! 16 Credits of up-to-the-minute, panel-driven, education, customized for DPRWorld. . . You will not experience this education anywhere else! Featured speakers include Drs. Gordon Christensen, Ronald Goldstein, John West, Louis Rose, Ed McLaren and more. Click here for the education overview. Efficient scheduling and no counter programming let you maximize the value of your time and experience all DPRWorld has to offer. See the latest in product innovations and advanced treatment with learning opportunities right on the show floor in our Innovation Center theaters. Sales, specials, deals and buying opportunities right on the show floor. Effortless, all inclusive registration and pricing for complete access to DPRWorld. Exhibit floor party with Taste of Mandalay Bay food event and concert performance by multi-platinum recording artist Chris Isaak. I *love* ThumbsPlus to organize my images. I've been a loyal user for years going back to the very early days of the Internet (I think I started with version 2.0). Anyway, it's a great program for work and home to organize your images. Now it's available for a discount of the network version. BTW, beta testing of Version 8 will begin soon. As of today, you can play full-length tracks and entire albums for free on the Last.fm website. Something we’ve wanted for years—for people who visit Last.fm to be able to play any track for free—is now possible. With the support of the folks behind EMI, Sony BMG, Universal and Warner—and the artists they work with—plus thousands of independent artists and labels, we’ve made the biggest legal collection of music available to play online for free, the way we believe it should be. Full-length tracks are now available in the US, UK, and Germany, and we’re hard at work broadening our coverage into other countries. During this initial public beta period, each track can be played up to 3 times for free before a notice appears telling you about our upcoming subscription service. The soon-to-be announced subscription service will give you unlimited plays and some other useful things. We’re also working on bringing full-length tracks to the desktop client and beyond. Free full-length tracks are obviously great news for listeners, but also great for artists and labels, who get paid every time someone streams a song. Music on Last.fm is perpetually monetized. This is good because artists get paid based on how popular a song is with their fans, instead of a fixed amount. We will be paying artists directly. We already have licenses with the various royalty collection societies, but now unsigned artists can put their music on Last.fm and be paid directly for every song played. This helps to level the playing-field—now you can make music, upload it to Last.fm and earn money for each play. If you make music, you can sign up to participate for free. We’re not printing money to pay for this—but the business model is simple enough: we are paying artists and labels a share of advertising revenue from the website. Today we’re redesigning the music economy. There are already millions of tracks available, and we’re adding more every day. We will continue to work hard to bring this to everyone in the world. I've played with webcams for years now. Here is a new entry into the arena with some good ideas. 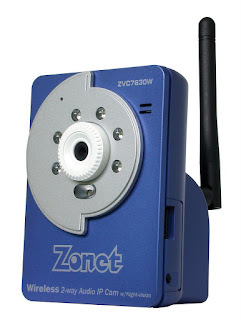 Zonet is now selling IP cameras that are either wired or wireless. They have their own IP address and built-in web server. They connect directly to your network and acan be remotely accessed from a standard web browser. Resolution up to 640x480 with transfer rates of 30 frames-per-second (which is full motion video). The cameras have microphones so you can also hear what you're seeing... and they have Night vision! customizable automated alert notifications. The new security cameras from Zonet will be offered for a suggested retail price of $220 (ZVC7630) and $320 (ZVC7630W - wireless). More security needed for your portable hard drive(s)? Carrying patient data in an off sight backup and making sure it is only accessible by you is an important part of an overall paperless strategy. There are several ways to ensure security i.e. password protection, biometrics, etc. Now there is a new way with RFID. The STYSEN E08 RFID Security 2.5 Inch HDD Enclosure is a hard drive enclosure that will accept SATA drives. Once the drive is installed in the enclosure it connects to your PC via USB 2.0 The device comes with 2 RFID keys (in case you lose one) and scanning the key over the drive unlocks the data. What's really cool about this is if the device is stolen it won't work without the key. And what if some crook simply takes the drive out of the enclosure? When it's removed from the enclosure, the drive automatically reformats itself the next time it receives power. I'm not sure at this point what kind of reformatting it does and if it is a NSA secure wipe of the data or not, but this is still a very interesting concept. The cost of the enclosure is $56 plus the cost of the SATA drive so this is definitely affordable. The big deal about this is that it's Vista compatible. Never mind the fact that Vista has been on the market over a year now. The download is a tad over 62mb, which is a killer unless you have broadband. My question is "Why did this take so long?" It's not like Palm didn't know Vista was coming. It's a sad day when one of the truly innovative companies can be seen sinking like this. I long for the good old days when Palm was on the leading edge. Although not really related to health care, this is still a pretty cool use of technology, and who says you can't have fun? Customers can create a customized 'Pizza Playlist' with their favorite menu choices and use it as a guide when texting an order. Pizza Hut joined other pizza chains this week and launched a service that allows people to place their orders on mobile phones. People can sign up for the service at PizzaHut.com and then add their mobile phone number to the account. They can create a customized "Pizza Playlist" with their favorite menu choices and use it as a guide when texting an order to Pizza Hut. Pizza Hut is offering a second option that requires people to visit its Web site on a phone's browser. The Web site has been optimized to work on small screens, according to Pizza Hut. It works just like the desktop version where people can browse the complete menu and place their order on the site. Pizza Hut isn't the first to enable orders on mobile phones. Domino's and Papa John's offer similar services. The growing trend of mobile ordering has attracted startups like Mobo Systems to create services that simplify the process. Mobo's service, called GoMobo, is kind of like Fandango for food, according to CEO Noah Glass, who recently met with InformationWeek. GoMobo lets subscribers (who sign up for the service) order and pay ahead online through a mobile Web browser or by sending a text message -- all without having to wait in long lines at restaurants. Restaurants receive orders via Internet-connected computers using GoMobo's proprietary software, or through a fax machine. The service first launched in New York City and is being rolled out nationwide. GoMobo is expected to be live in three major cities and at more than 5,000 restaurants by the end of this year. Here's a big shock (really! ), but not so much when you think about it from the end user's standpoint. Rumors are now circulating that the reception to Vista has been so fraught with bugs and has achieved such low market penetration that Microsoft is now accelerating the development of the next Windows OS which is tentatively called Windows 7. It seems that because of all the troubles with Vista, customers have been extremely slow to adopt it and computer manufacturers have been forced to offer Windows XP to customers to spur sales. The rumor mill now says Windows 7 may be sent to developers for Alpha testing in April or May 2008 with a full release date sometime in the third quarter of 2009. This is significant as the original target date for Windows 7 was actually 2010. If this is true, it becomes pretty obvious that Vista has entered the realm of Windows Me. Ugh. Long Island City, N.Y. (January 17, 2008) - Sirona Dental Systems, Inc., the company that pioneered digital impressions more than 20 years ago, and the world’s leading producer of dental CAD/CAM systems, today announced the launch of CEREC® Connect, a Web-based communication platform designed exclusively for Sirona CEREC® and inLab dental CAD/CAM users. The new service will be demonstrated at the Chicago Mid-Winter show in February. CEREC Connect allows direct digital communication between CEREC dentists and inLab laboratories via a Web-based portal. The service enables CEREC dentists to eliminate physical impressions by electronically transmitting a digitally-scanned impression to the InLab laboratory of their choice. Moreover, while other digital impression taking systems exist, Sirona has taken the concept one step further, enabling dental laboratories to fabricate digital restorations without the need for a conventional physical model. In the near future, Sirona plans to offer labs the ability to create a physical model from the CEREC digital impression. "Many labs prefer to work off of a model; our plan is not to insist on model-less dentistry," says Ulmer. "As the sole provider of the model-less digital restoration process, the next step will be to offer laboratories both options, and let them decide on their own when they're ready to transition to the digital method." CEREC Connect is another value-added service created by Sirona exclusively for its laboratory and dentist customers currently using its inLab and CEREC CAD/CAM systems. For more information about CEREC Connect, please call 866-inLab4U (465-2248). Lumenis? Ltd., a global developer, manufacturer and seller of laser, light-based and radiofrequency devices for surgical, aesthetic, and ophthalmic applications, announced today in the presence of President Shimon Peres during his visit to the company, that the company is beginning construction of a new state-of-the-art facility to house its headquarters in Yokneam, Israel. The new campus will encompass a modern working environment positioning the company to meet the demands of its growing business. Initially the structure will comprise 16,000 sq meters, with the possibility to expand to 24,000 sq meters in the future. Mr. Dov Ofer, CEO of Lumenis, stated: ?This is an historical day for our company. Careful planning has gone into the model for the new building and facilities, which has been designed for flexibility in our changing and dynamic environment, and will allow us to support Lumenis? strategy to drive our business forward. We have significantly outgrown our present premises and the new site will unify our various departments under one roof, while optimizing efficiency for ongoing technological and operational progress, and will enable us to absorb additional employees.? The project is expected to take 2 years to complete and occupancy is estimated in January 2010. The new Lumenis campus will remain in Yokneam, as many of the employees live in or around northern Israel. In the past year, Lumenis has taken significant steps to bolster its infrastructure and prepare for future growth. In 2007 the company changed most of its senior management team, attracting some of the best talent in the industry, globally implemented the most advanced ERP system (SAP) giving the company powerful integrated and advanced IT systems, and introduced many new initiatives to strengthen the groundwork for solid Operations. Lumenis® Ltd., a global developer, manufacturer and seller of laser, light-based and radiofrequency devices for surgical, aesthetic, and ophthalmic applications, announced today that its chief operating officer, Zivi Nedivi, will leave Lumenis to take up position as CEO of a company in a different industry, but will remain with Lumenis as long as needed to ensure a smooth handover of his responsibilities. ?Zivi?s contribution to the design and implementation of our turnaround has been significant, and on behalf of the entire management team, I wish him well as he pursues the next chapter of his career?, said Dov Ofer CEO of Lumenis. Lumenis is Israel?s largest medical device company with more than 1,000 employees worldwide. The company invests heavily in R&D and holds a leading position in the markets in which it serves. Lumenis has over 250 patents worldwide, over 75 FDA clearances, worldwide presence in over 100 countries, and an installed base of over 70,000 systems. About one year ago, a group led by a private equity consortium LM Partners LP and Ofer Hi-Tech Group invested approximately $150 million in the company. Here is an interesting tidbit. It seems that the world's number one consumer electronics manufacturer, Samsung, has just trademarked the term "Syncpaper". Now at this point, everything is pure speculation, but could this mean that Samsung is working on some type of mobile reader device? For years I've dreamed of something that automatically downloads the info I want (sort of a mobile RSS reader) and is ready to go when I am. This could be especially nice for people who commute on public transportation. Samsung makes good devices and seems to know the market well. Keep your eyes peeled for something on the horizon. Here is a neat idea from Skull Candy. It looks like it would be a nice way for offices that don't have computers in the ops or that do have computers but don't have a way to do multimedia entertainment. 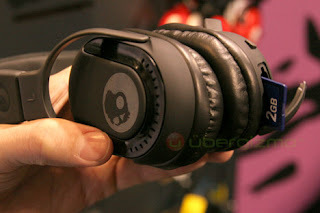 The Skull Candy Double Agent Headphones have a built-in SD slot that would let you put audio on a card ahead of the appointment time and then have them ready when you patient arrives. They come in 3 colors, have built-in controls on the side, and take any size SD card. This is a good idea and one that I can see definite possibilities with. SEATTLE--January 10, 2008--Amazon.com (NASDAQ: AMZN) today announced that DRM-free MP3 music downloads from SONY BMG MUSIC ENTERTAINMENT will be available to customers on Amazon MP3, Amazon's DRM-free MP3 digital music store where every song is playable on virtually any digital music-capable device, including PCs, Macs®, iPod®, Zune®, Zen®, iPhone™, RAZR™ and BlackBerry®. When SONY BMG is added later this month, Amazon MP3 will be the only retailer to offer customers DRM-free MP3s from all four major music labels, as well as over 33,000 independent labels. Amazon MP3 customers will discover DRM-free MP3s from SONY BMG's vast rosters of artists representing virtually every genre of music. "We are excited to offer Amazon MP3 customers DRM-free MP3s from SONY BMG, which represents many of the most popular musicians from the past and present," said Bill Carr, Amazon.com Vice President for Digital Music. "Our Amazon MP3 customers will be able to choose from a full selection of DRM-free music downloads from all four major labels and over 33,000 independents that they can play on virtually any music-capable device." "We are excited to be working with Amazon as they continue to build new markets for digital music," commented Thomas Hesse, President, Global Digital Business & U.S. Sales, SONY BMG MUSIC ENTERTAINMENT. "We are constantly exploring new ways of making our music available to consumers in the physical space, over the internet and through mobile phones, and this initiative is the newest element of our ongoing campaign to bring our music to fans wherever they happen to be." Launched in September 2007, Amazon MP3 offers Earth's Biggest Selection of a la carte DRM-free MP3 music downloads, which now includes over 3.1 million songs from more than 270,000 artists. Every song and album in the Amazon MP3 music download store is available exclusively in the MP3 format without digital rights management (DRM) software and is encoded at 256 Kbps to deliver high audio quality. Amazon MP3 customers are free to enjoy their music downloads using any hardware device, including PCs, Macs®, iPod®, Zune®, Zen®, iPhone™, RAZR™ and BlackBerry®; organize their music using any music management application such as iTunes® or Windows Media Player™; and burn songs to CDs for personal use. Most songs available on Amazon MP3 are priced from 89 cents to 99 cents, with more than 1 million of the over 3.1 million songs priced at 89 cents. The top 100 bestselling songs are 89 cents, unless marked otherwise. Most albums are priced from $5.99 to $9.99. The top 100 bestselling albums are $8.99 or less, unless marked otherwise. Buying and downloading MP3s from Amazon MP3 is easy. Customers can purchase downloads using Amazon 1-Click shopping, and with the Amazon MP3 Downloader, seamlessly add their MP3s to their iTunes® or Windows Media Player™ libraries. A Potential New Test for Breast Cancer from your Dentist? January 11, 2008 -- WASHINGTON - Scientists are close to developing a screening test for breast cancer that would check a woman's saliva for evidence of tumors early, when they are most treatable. In research published yesterday in the journal Cancer Investigation, the scientists say they have identified 49 proteins in saliva that can help diagnose benign or malignant breast tumors. Charles Streckfus, a University of Texas professor of diagnostic sciences, said federal approval for the test may be sought within five years. Well, you knew it was only a matter of time. Although it's more a pain to the owner than a true data stealing nightmare, the first Trojan software for the iPhone has appeared. It's disguised as a leaked version of the upcoming update from Apple called 1.1.3. The Trojan is being referred to as “113 prep” and “iPhone firmware 1.1.3 prep”. When installed owners are reporting all they saw was a message stating "shoes", but when the software was un-installed, problems resulted. After removing the program, it was discovered that the OpenSSH encryption had been overwritten, the /bin folder contents were deleted, and "Erica's Utilities" had been crippled. Amazingly enough it appears that simply reinstalling the affected applications fixes the problem and there are no apparent long term effects... yet. My take: If anyone doubted the popularity of the iPhone this should pretty well end that debate. This is probably the first of many of these types of programs that we'll see. The website that had the program available has now disappeared from the 'net, but this only reinforces what I've said for years about downloading only from reliable sources. Remember, if it's too good to be true, it probably is. For those of you who don't know, I'm a huge fan of multiple monitors. I use them in all aspects of my computing life. Not only does a multiple monitor setup help me as a practice and educate my patients, it also helps my productivity when I'm at my desk at the office or at home. Studies have shown that using more than one monitor increases work efficiency by about 20% so it's a time saver in a really big way. However, one of the drawbacks has always been the expense of setting the system up. Using a laptop is simple, as most laptops have an extra monitor connection built-in so that they can connect to a projector. For a desktop though, this usually means either replacing the existing video card with a dual output card or adding a second video card. If you aren't an experienced geek, this can be daunting. 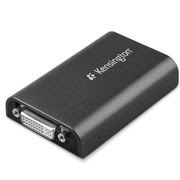 Now thanks to Kensington you can setup multiple monitors with a single piece of external hardware that connects via a USB port. The device will support up to 6 monitors! That might be even more than I would need. Arrival date is sometime in the second quarter and the price? $99!!! I'm a big believer in the concept of visually helping to educate. To that end, I've always been a fan of digital photo frames that let you show off educational photos in a non-intrusive way. 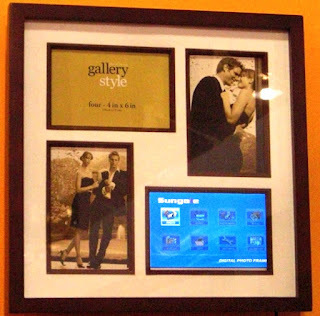 This looks like it could be the next step in digital frame evolution. Sungale has developed this frame that holds 3 normal pictures and one digital. That alone would be worth mentioning, but the company says they are currently working on another one of these where all 4 frames would be digital. With the right kind of timing for the pictures, this could be a really beautiful way to educate. FDA ALERT [1/7/2008] - FDA is highlighting the possibility of severe and sometimes incapacitating bone, joint, and/or muscle (musculoskeletal) pain in patients taking bisphosphonates. Although severe musculoskeletal pain is included in the prescribing information for all bisphosphonates, the association between bisphosphonates and severe musculoskeletal pain may be overlooked by healthcare professionals, delaying diagnosis, prolonging pain and/or impairment, and necessitating the use of analgesics. The severe musculoskeletal pain may occur within days, months, or years after starting a bisphosphonate. Some patients have reported complete relief of symptoms after discontinuing the bisphosphonate, whereas others have reported slow or incomplete resolution. The risk factors for and incidence of severe musculoskeletal pain associated with bisphosphonates are unknown. This severe musculoskeletal pain is in contrast to the acute phase response characterized by fever, chills, bone pain, myalgias, and arthralgias that sometimes accompanies initial administration of intravenous bisphosphonates and may occur with initial exposure to once-weekly or once-monthly doses of oral bisphosphonates. The symptoms related to the acute phase response tend to resolve within several days with continued drug use. Healthcare professionals should consider whether bisphosphonate use might be responsible for severe musculoskeletal pain in patients who present with these symptoms and consider temporary or permanent discontinuation of the drug. This information reflects FDA's current analysis of data available to FDA concerning this drug. FDA intends to update this when additional information or analyses become available. Researchers at Argonne National Laboratory have developed an infrared camera that can detect temperature changes as small at 1/20th of a degree celsius. It seems that tumors are warmer than the surrounding tissues, although not always. Reasearch has determined that after an initial round of radiation therapy, some patients exhibit increased temperature of the tumor *and* surrounding tissues. These people are the ones at greatest risk of developing painful and debilitating mucositis. The new camera can sense these temperature changes after just one radiology treatment and can be an indicator of the need for doctors to change their protocol. LAS VEGAS, NEV. [South Hall, Booth # 31931] (January 7, 2008) – Origin Laboratories LLC (Origin Labs) today introduced PUROSOL Plasma’s new clam shell packaging (www.Purosol.com) at the 2008 International CES tradeshow (www.cesweb.org), held January 7-10 in Las Vegas. The clam shell package includes a four ounce PUROSOL Plasma bottle, part of Origin Labs’ line of advanced, plant extract-based cleaning products specifically formulated for today’s advanced digital screens and a large microfiber cloth (12”x16”). PUROSOL will be showcasing its products at the International Supplies (www.internationalsupplies.com) booth # 31931 in the Imaging Innovations section on the second floor of the South Hall at the Las Vegas Convention Center. The PUROSOL microfiber cloth represents months of research and field testing and utilizes a new ultra-fine microfiber thread representing the next generation of refined microfiber fabric technology. The cloth composition and weave is designed to deliver the proper absorbency and softness to ensure proper delivery of the PUROSOL solution without harming the surface being cleaned. The cloth has a delicate feel yet is tough to withstand repeated washings without the need for replacement. The environmentally-safe cleaner is engineered to work on the molecular level, actually breaking the bonds that salt, dust, dirt and grime use to grip the screen surface. The clam shell retails for $24.95. Unlike ordinary off-the-shelf cleaners, which are made up primarily of alcohol, ammonia, harsh solvents, silicone and colored dye, the PUROSOL line of products is completely organic and environmentally safe. This advanced cleaner is non-toxic, hypo-allergenic, contains no CFCs, no detergents and no solvents of any kind (including alcohol, ammonia and chlorine). Stress and how to decrease it! The early morning glare of the alarm clock burns your bleary eyes, as holiday stress finds you exhausted and restless in bed, without a single "sugar plum dancing in your head." According to nearly 500 doctors who participated in a survey by medical software developer Epocrates, Inc., restless nights and fatigue are the two most common symptoms of stress. 1) Get moving: 88% recommend exercise to their patients. An after-dinner stroll or even building a snowman can provide a burst of energy to propel you through the season. 2) Be social: More than half of respondents prescribe spending time with friends and family to reduce stress. 'Tis the season with many holiday parties and family feasts. 3) Start a hobby: Nearly half physicians recommend pursuing a hobby. So consider making those holiday gifts or try snow shoeing during the winter months. students of dentistry in American colleges and universities. dentists around the world who are using products that bear the SUNI name,"
and solid financial backing suitable for its present stage of evolution." global market for digital radiography. We are in this for the long haul." In keeping with this weeks theme of watch-tech, here is a coo and affordable device. 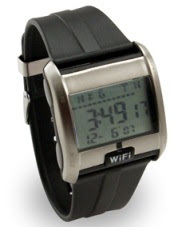 It 's a watch that can detect Wi-Fi signal strength. It indicates signal strength in a range from 0 to 8. 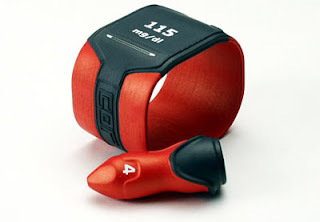 What's handy about this, is not only does it sniff out Wi-Fi networks, but it also lets you know if the signal is strong enough to bother connecting to. Sure beats getting out your gear only to find the signal is too weak to be of service to you. The price? $30. That makes this almost a requirement. You can order it from ThinkGeek. Here is a pretty interesting idea. A German student has developed this thin wrist mounted device that monitors and delivers insulin for type I diabetics. Although small it contains enough insulin for 2-3 weeks for most patients. What really makes this a great device is that is uses piezo-electric technology developed to power satellites. Without going into great detail, the device uses the motion of the wearer to perpetually power the device. Amazing! One of the things I'll be doing today is installing Schein's new patient education software on my Tablet PC. Called "Guru" the program provides animations that can be stopped mid-run and drawn on using a mouse or stylus. I'm planning on use the Tablet PC as a way to actually sit down with my patients and be able to better educate them about their situations. This looks to me a nice improvement in patient education where there is more involvement that just "watching the video".